SeeItOnTheNet | Letting Your Properties. 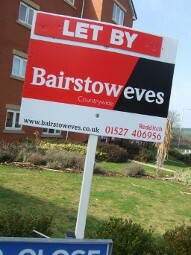 If you have an empty property, you'll want to get it earning as quickly as possible. And if you're using Newspaper Classified ads to market your properties you'll know how time consuming it can be to get prospective tenants to see your properties and then decide if it interest them. A website can solve these issues, but for small landlords this can be too expensive. 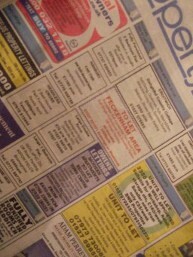 Alternatively you could use online classified ads. The problem with these online ads is the lack of control you get over the geographic location they are shown, and the fact that they get buried under every other ad that comes along after yours. To overcome this problem it is common practice for classified sites to "bump" ads. This is were you need to keep relisting your advert to keep it near the top of the list. Some ad sites have now starting charging for automatically bumping ads, increasing marketing costs for properties. SeeItOnTheNet changes all this, and gives more control over marketing, removing the need to "bump" ads. You also get all the extra benefits of pictures and space to add more text. But more importantly all your ads are listed together nomatter the number, 1 or 100 all together as a simple micro web site. Whether your renting out one property, from your first buy to let, a room in your house or letting out a large block of flats or commercial factory on a long lease SeeItOnTheNet is ideal if you don't have your own website. SeeItOnTheNet is here to help your market your property. SeeItOnTheNet is different, from general listings sites. We encourage you to market your own listings with Newspaper Classifieds and products like Google Adwords (Using Google's Adword with SeeItOnTheNet)and then bring all your ads to one place, your place on SeeItOnTheNet. We give you the tools to link all your marketing to the pictures and text that you put on SeeItOnTheNet to describe your properties, this gives your prospective clients the opportunity to use your web links to quickly decide if they want to book a veiwing for the property. This ability to show a property and give extra details allows prospective clients to quickly sift and view without wasting your time, and as all your properties are listed together they can see everything you have available, saving you time and money. SeeItOnTheNet is an uncluttered free website to list your lettings, no matter its size, with picture and text. This enable you to advertise your properties across the internet and in local and national newspapers all linked back to your listings here by just your phone number or email address. You can start using SeeItOnTheNet here and get more information here.